Which of your or your competitor&apos;s articles are shared the most? And why is that? 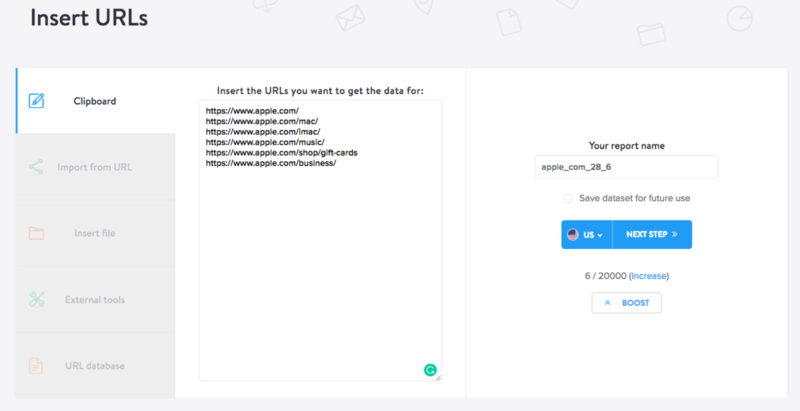 Get bulk data about social interactions for your URL dataset easily with Marketing Miner. Miner Social signals goes through your URL dataset and inquires on each social network for those URL. From this, it gets data on a number of shares and other social interactions, that you can use for your further content analysis. You can use social signals mostly to analyze your content and to determine which of your articles or other landing pages are shared the most on social networks. In addition, you can also spy on your competition and get inspired by their most shareable content on Facebook or LinkedIn. We recommend combining this Miner together with Miner Content Analysis, which will help you to find out why might be some articles more shareable than others. The reasons may vary. It might be because of the more attractive title or length of the article. Get started by clicking on Create report button and specifying URLs at the input. Then write or copy the dataset of the URLs for which you want to get social signals. 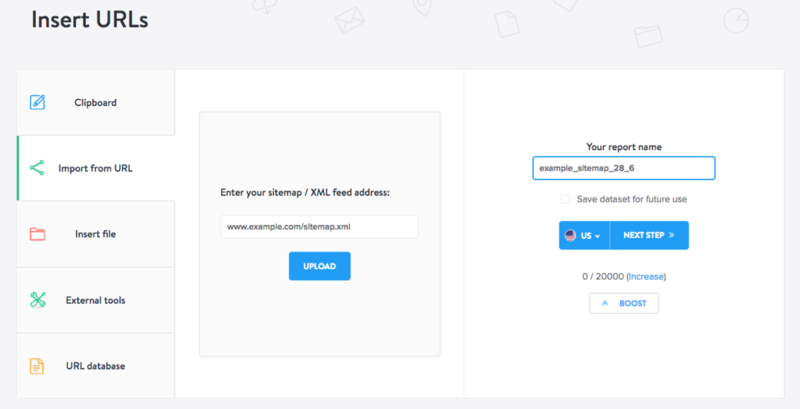 An even better option would be to insert the entire Sitemap (if you have it). To do so, click on the Import From URL section in the left sidebar. hen click on the flag to select the country for which you want to get the data and finish by clicking on Next Step. In the Linkbuilding section, click on Miner Social signals. Nothing else needs to be set. Click on Get Data to start processing your inputs. You will see only the first 200 records of the total URLs in the output. Therefore, we recommend downloading the output as an Excel file and then analyzing the results directly there. Facebook shares: Number of URL shares on Facebook. Google +1: Number of URL shares on Google plus. LinkedIn shares: Number of URL shares on LinkedIn. Pinterest pin counts: Number of URL pins on Pinterest. Stumbleupon views: Number of URL views on the social network StumbleUpon. Focus on the URL with the biggest number of social shares. Then try to find out why these URLs were shared and how you could get inspired by this with your other activities. You can also check out Miner Content Analysis, that might help you as well.